PCIS (Primary Care Information System) is an eHealth clinical management system designed and developed for use by the teaching units of the University of Toronto Department of Family and Community Medicine to centrally coordinate and integrate the complex multidisciplinary research and operational activities in the management of a hospital or clinic. PCIS is designed to run 24 x 7 x 365 with zero downtime. 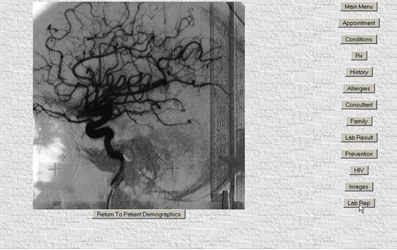 Since its first release in 1982, PICS has gone through several releases based on feedback from many clinical professionals. The result is a secure, comprehensive, reliable, integrated suite of applications which have been adapted for each unit. 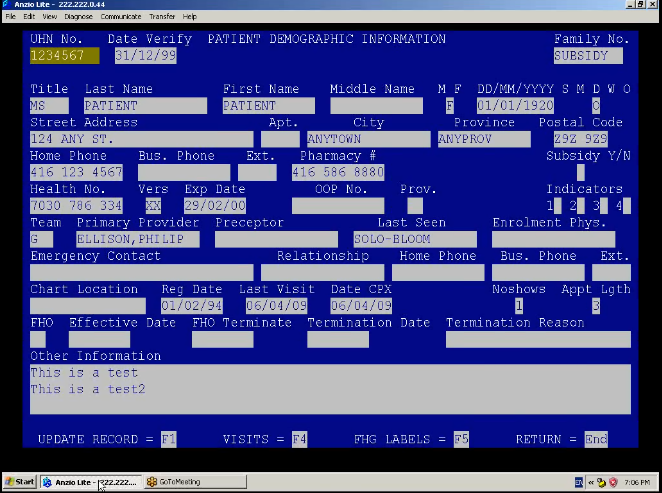 PCIS applications are grouped by patient flow. It is easy to learn and easy to use. In effect, PCIS is a natural extension of the normal operating procedures for physicians, medical and financial staff. PCIS integrates and makes available data across all functions of health care from medical billing, to full cumulative patient profiles. Operationally, it provides registration, appointment booking, billing, consultant referrals, and various reporting functions. Clinically, it provides a full cumulative patient profile, including ongoing conditions, treatment regimen, history, allergies, consultant lists, personal and family data, pediatric and adult prevention, lab results, and various disease specific modules. In addition, PCIS provides ePrescribing, which can identify drug/drug interactions in real-time based on the drug in question and the treatment regimen of the patient. 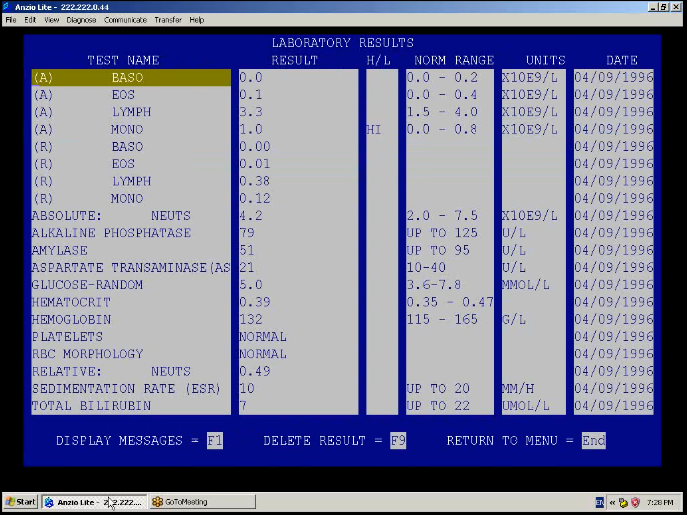 PCIS also allows the physician to enter, store and retrieve progress notes. 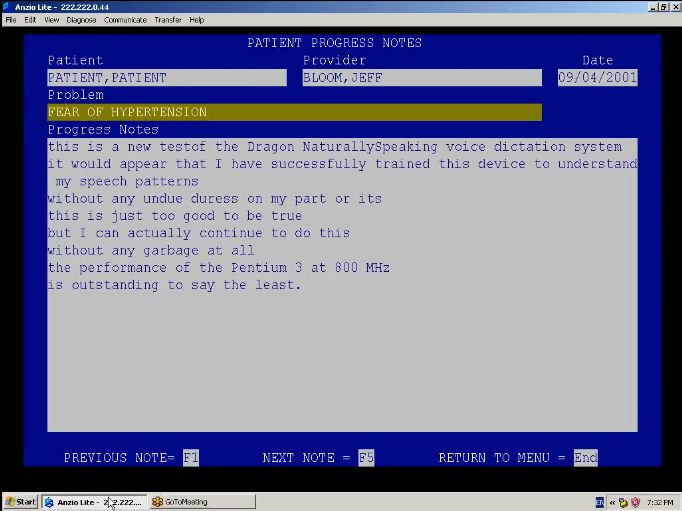 In addition to use of keyboard, PCIS allows notes to be dictated through voice input, and stored directly into the Empress Embedded Database for later retrieval and analysis. PCIS also supports medical research, as the system allows all operational and clinical data to be aggregated and analyzed in any standard, custom or specific way. For example, data can be used to monitor various treatments of diabetic and hypertensive patients to identify more effective means of treatment while improving patient outcomes. All of the data is stored and retrieved using the data management technology in the Empress Embedded Database. PCIS delivers full functionality to its users by taking advantage of the high performance and rich features of Empress Embedded Database. PCIS runs on a Linux or UNIX server, and PCIS clients have access to data on the system from a Windows, Linux or Mac client. Data can even be conveniently accessed via a device like the Apple iPad, iPhone or an Android tablet. PCIS takes advantage of fast Empress MR Routines, a kernel level API that is a unique feature of Empress that gives users access to the Embedded Database kernel libraries. Empress MR Routines are the fastest means of accessing Empress databases. Plus they give the developer maximum control over time and space in developing real-time embedded database applications. PCIS utilizes Empress MR Routines embedded in C for high-performance modules used for interfacing with government and maintaining various tables. In addition, Empress 4GL has been used to develop a high-performance transaction based interface for the operational aspects of PCIS. This includes booking of appointments, registering of patients, and creation of various billing transactions that are sent to the government. This interface provides access to clinical records, including a full cumulative patient profile, as well as domain specific information related to such things as lab results and disease specific information. 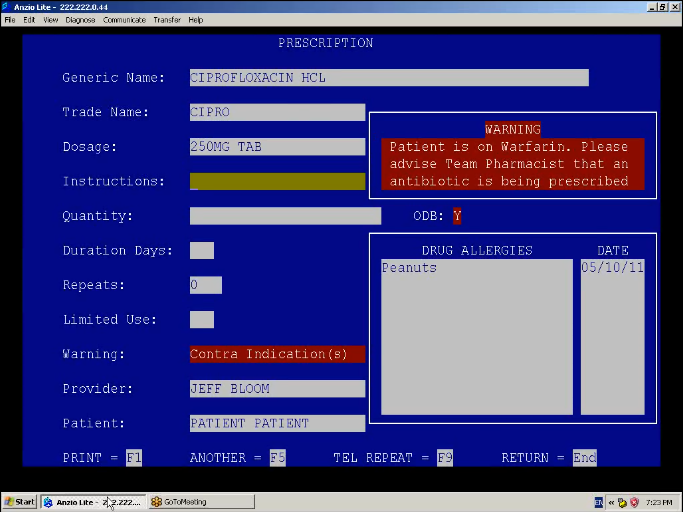 To complement the 4GL interface, Empress Hypermedia is used to facilitate web-based access to clinical records. 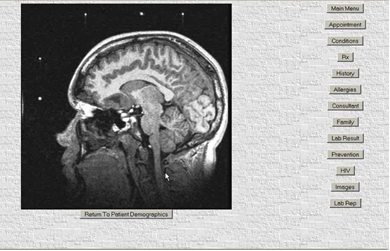 This also provides additional functionality associated with the presentation of images such as MRIs and CT scans. Empress Report Writer is an integral part of providing hardcopy related to both the operational as well as the clinical aspects of the system. Shell scripts which utilize other Empress interfaces provide an efficient means of maintaining various tables, and providing a simple but controlled method of exporting data which can be used either internally or transmitted to other hospital-based systems for processing. PCIS utilizes a number of privacy and security features of Empress Embedded Database and its underlying operating system. The system administrator can assign privileges ranging from all users, to a group, a group subset, or even a specific creator. Each system has the option to automate the creation of transaction logs as well as audit logs, providing a history of operations that can be referred as needed. Empress Encryption technology could be applied to PCIS for those organizations with even more advanced security requirements. Some hospitals choose to back up the system using online backup and recovery logs while the system is actively in use. Others backed up the system nightly. Both on-line and off-line backups are features of Empress Embedded System. Active PCISs in the field have run for years, without fail. However, if the system should ever suffer a catastrophic failure, it can be easily brought back up with the full bootable backup. The robust and full functionality of the Empress Embedded Database allows the Primary Care Information System to provide reliable, available, and serviceable systems to its users. Systems run 24 x 7 x 365. Some of the systems have been running for several years without requiring a reboot. PCIS takes full advantage of the breadth of functionality and advanced technology that Empress Embedded Database offers to produce an effective and highly reliable eHealth system.